Xoom Corp., a San Francisco-based money transfer company has filed a trademark suit against Motorola over the use of the name “Xoom,” which is the name Motorola has chosen to call its first Android tablet around the world. Beta News reports that the company claims to have actively used the name for its Website since 2003 and has an “incontestable” trademark on it. Much of the complaint appears to center around Motorola hogging the word “Xoom” in search engine searches, making it difficult for customers to learn about Xoom Corp’s financial services. Does it have merit? Well, maybe. It’s very possible that people could search for the Xoom financial site and end up finding Motorola or vice versa. This will get more confusing if Xoom chose to make an Android app. However, we’ll let the courts hash this one out. 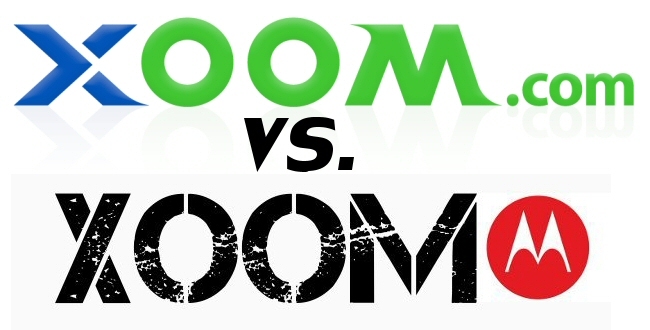 We wonder how long it will be until GlobalXoom.com and MobileXoom.com sue Motorola. This would never happen if branding specialists knew how to spell. Both Motorola and HTC are being sued by small U.S. companies that claim to have rights over the brands, and the suits may have merit. HTC has also been sued by search engine ChaCha for stealing using its trademark in the newly announced Facebook “HTC ChaCha” phone. Odd things always come in threes, so we’re waiting on the third trademark suit. Let’s hope it’s a good one.